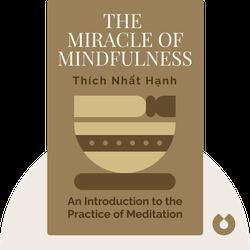 The Miracle of Mindfulness (1975) explains how practicing the ancient Buddhist art of mindfulness can help improve our well-being and our lives. Using typical examples from our daily life, these blinks demonstrate how we can all get more from the present, and start to appreciate the miracle of life again. 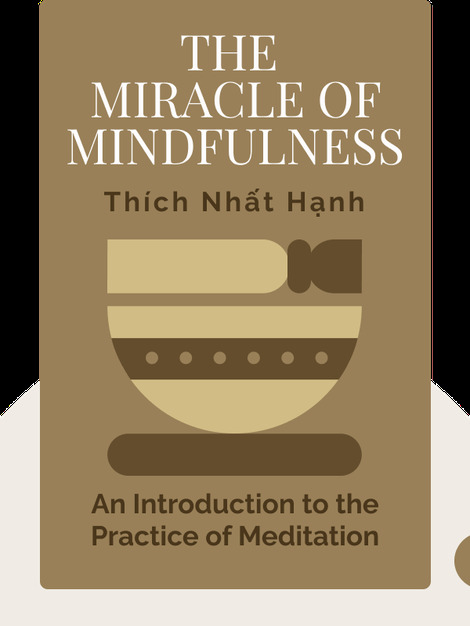 Thích Nhất Hạnh is a Zen master and an internationally revered spiritual leader, activist for peace and poet. Known globally for his influential teachings and bestselling books on the subjects of peace and mindfulness, he was once called “an Apostle of peace and nonviolence” by Martin Luther King.